The Spokesman-Review published this Murrow News Service story by Braden Johnson, with photos by Luke Hollister, on Nov. 9, 2018. COLTON – Gusting wind and a sideways rain pummeled the players. It was about an hour before kickoff and the high school field was turning to a slippery, muddy bog. The stadium lights were the only lights for miles when the 10 young men took the field. A lonely car whizzed by on U.S. Highway 395. Barns and factories and storefronts were dark. Everybody in this town of 467 people – it seemed – had gathered around the Colton High School football field for the Nov. 1 game. Soon, the Colton Wildcats would battle their archrival, the Garfield-Palouse Vikings, in a game of 8-man football. Nothing more than bragging rights for the coming offseason were on the line, but hundreds had shown up to watch. 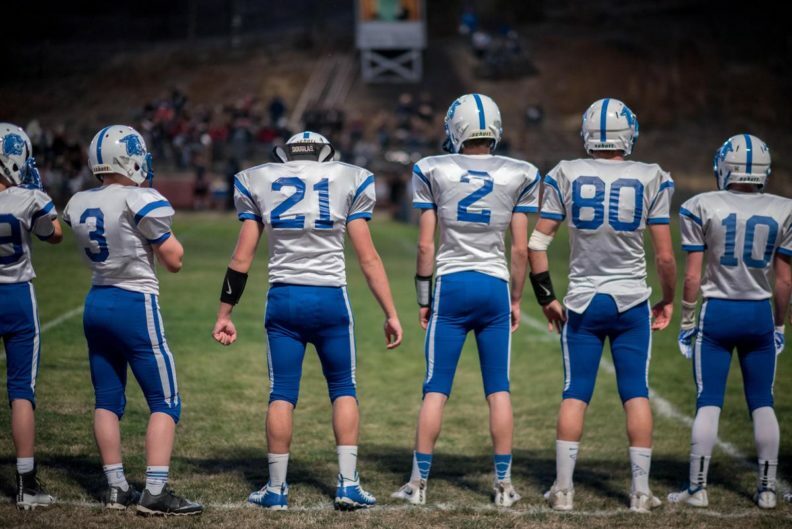 “Wildcat football – you can’t get any better than that,” said Parker Druffel, the team’s quarterback. Behind the scene was a another story. Read the full story on The Spokesman-Review website.